Photographing newborns is such a privilege, and each time I find it totally life-affirming. 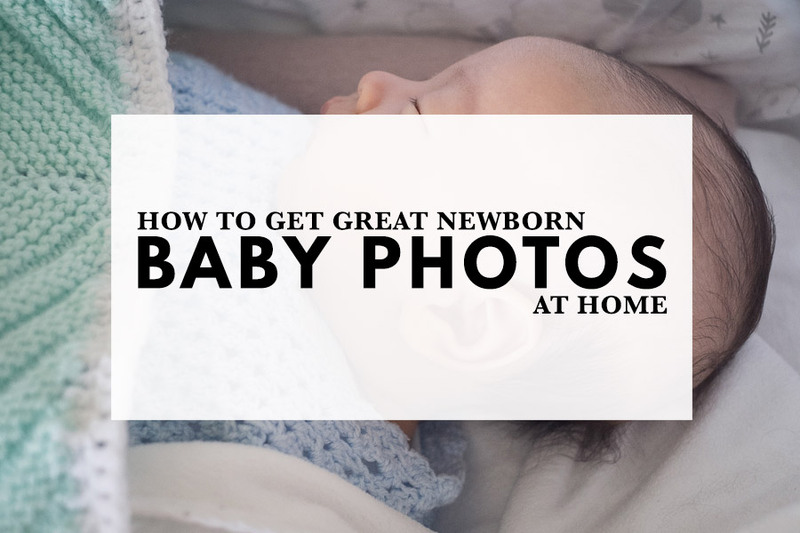 Years of experience have given me a bank of tips and tricks to get the most of a newborn portrait session – these suggestions will help you take adorable baby photos, and help keep the session calm and relaxed. Choose a time of day that’s convenient for the parents (they have a lot going on, coping with their new arrival!) and that suits their emerging routine. Mornings are usually best, as newborns tend to be at their jolliest earlier in the day and parents don’t need to keep their home tidy for long! Avoid late afternoon which is witching hour for many newborns. For a home portrait session, I recommend taking the photographs at 7–10 days old. This gives the baby a chance to grow into its skin a little (babies can be remarkably skinny in the first few days), and for any jaundice to dissipate. After ten days, they’ll have a big growth spurt on the way and digestive issues are likely to sneak in – these weeks can be tough for parents as well as the baby, so they’re best avoided if possible, at least until you’ve built up more experience photographing newborns. Before you start, think about hygiene – you can easily pass germs on to newborns so if you have even the hint of a cold or a bug, postpone the session. Wash your hands when you arrive, so you’re bringing in as few new germs into the home as possible. Warm your hands up so that when you touch the baby, your skin doesn’t come as a shock to them – hands can stay cold for a surprisingly long time. 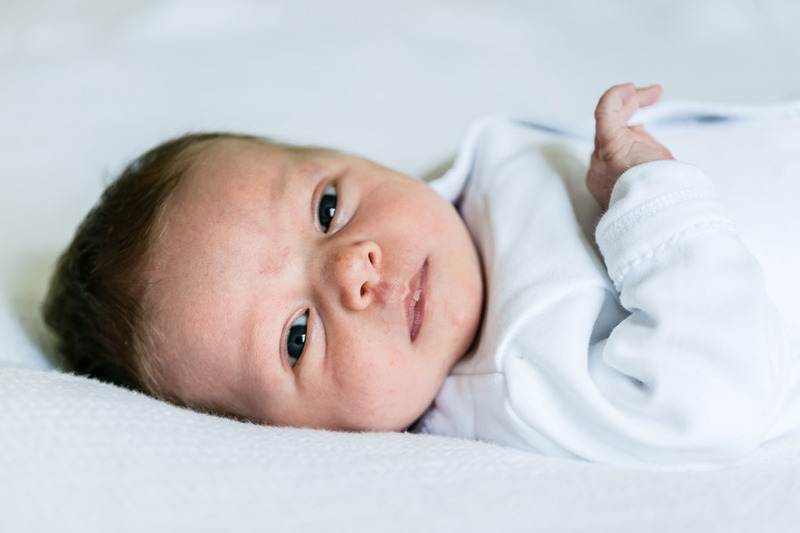 Make sure the newborn is comfortable – are they warm enough? Are they hungry? A satisfied and happy baby will be much easier to photograph! 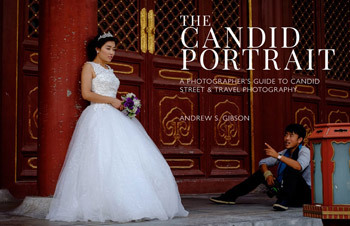 Let the newborn set the pace – if they’re snoozy, let them drift off to sleep and take the sleeping photographs. If they’re hungry, let them feed – I recommend newborns are fed until they’re satisfied, as otherwise it’ll be an ongoing battle with their appetite not having quite been satisfied. 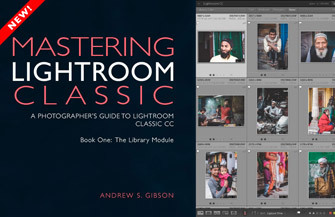 Position the newborn on a bed near a window, with the light falling on their face. Drop down so you’re at eye level with the baby, and aim to focus on the eye that’s nearest the camera. If you can catch the catchlight from the window in their eyes, you’re on to a winner! 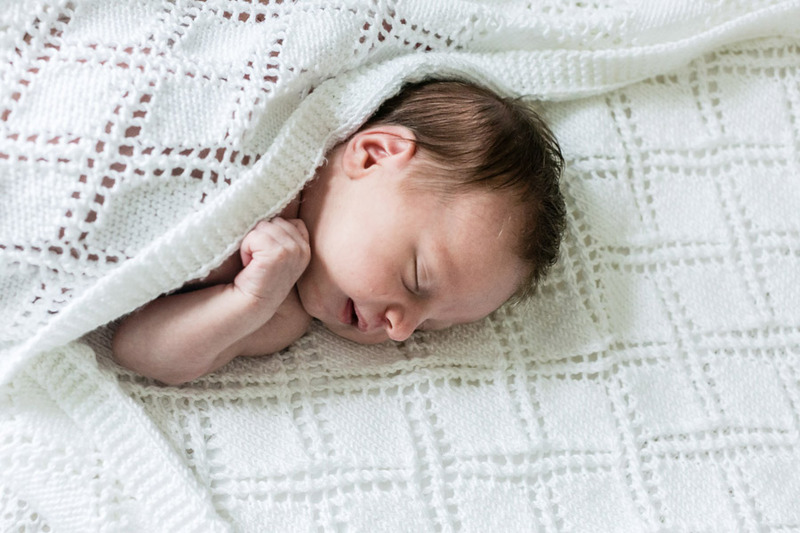 Placing the baby on the bedspread makes a lovely backdrop, and consider also using some of the family’s blankets for variety. A moses basket works really well for photographing a sleeping newborn. In terms of clothing, I recommend newborns wear neutral clothing that won’t be distracting in the photographs. A plain babygro or vest works really well – just be aware of any nappy showing from the vest. Avoid collars as these tend to roll up over the baby’s chin, and you’ll spend a lot of time trying to unfurl it between shots. For detail shots, wait until the baby is sleeping. This is especially true of photographing their tiny toes and fingers – when newborns sleep, they’re remarkably still! Awake, newborn limbs are astonishingly active and you’ll have a task on your hands to capture those details. 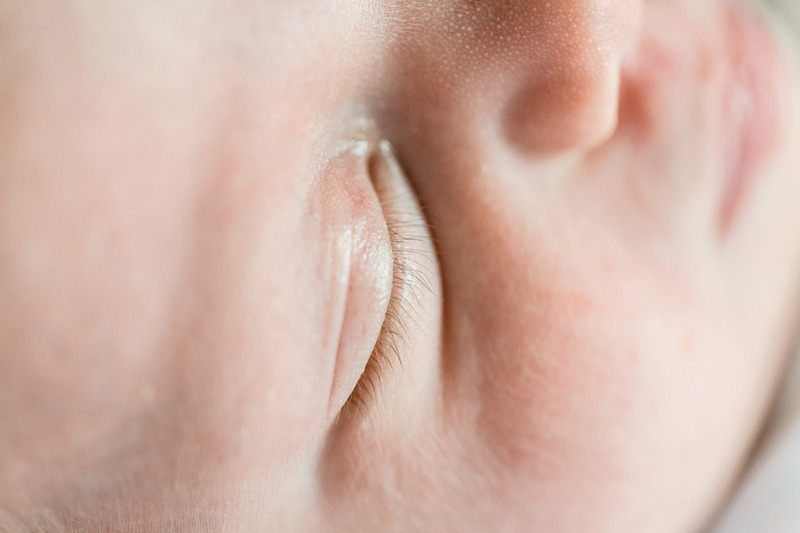 Eyelashes photograph beautifully when eyes are closed, and also when eyes are awake – you’ll need to go in close for these so speak gently to the baby as you move in so you don’t startle them. 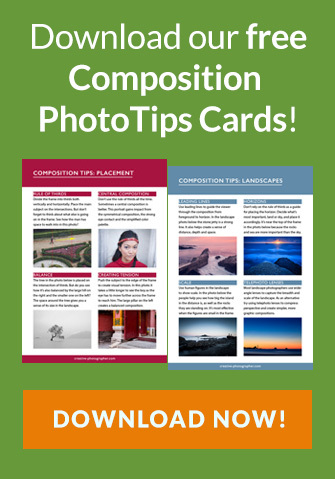 For macro close-ups, choose either a very wide aperture to pick out particular details like a single eyelash, or a narrow aperture to have more of the photograph in focus. Be sensitive to the baby’s sleeping patterns. Once a newborn has drifted off, they won’t be in a deep sleep for a good few minutes so don’t try to move them just yet. 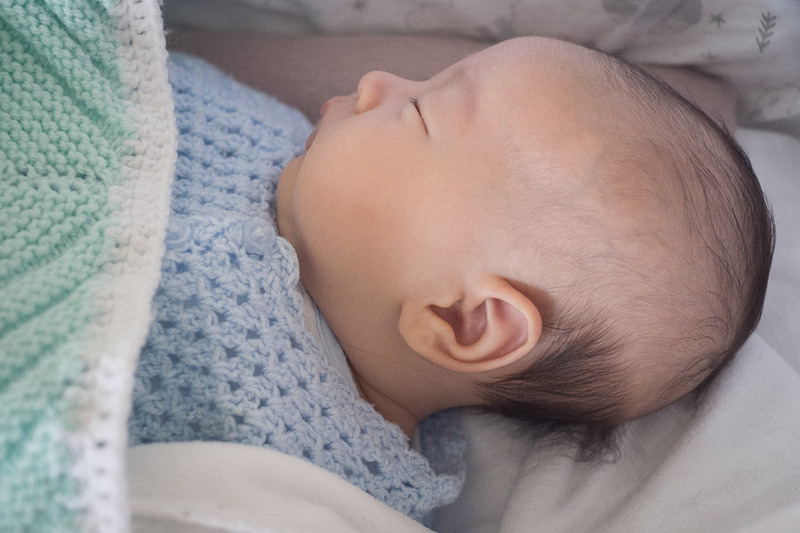 If a newborn’s fighting sleep and snoozing photographs are a priority for the parents, pay attention to the environment – if the parents are speaking loudly, gently suggest that they whisper for a while. If there’s an open window, close it in case the breeze is irritating the baby. If their face is towards a bright light, turn them away so the light isn’t bothering the newborn. Sometimes babies become aware that something unusual’s happening, and find it really hard to sleep. White noise can help them here – widely available online. If a baby’s really upset, try holding a hairdryer in the room – the noise it makes can be really soothing to tiny babies. Some babies will turn more to one side than the other. If you’re trying to photograph the newborn laying down and they keep turning their head away from you, it can be easier to stop and move the baby to the other side. Remember that part of capturing a newborn’s first few weeks is also capturing their family life. I always look to photograph parents holding their baby, the little caresses and kisses that are such an important part of these early days. With some patience and sensitivity, you’ll be able to take beautiful photographs that capture the start of a newborn’s life.